We now offer our in-house Chassis Dynamics and Suspension Tuning Consultation to all customers who purchase an Ohlins suspension kit with us. With years of expertise in setting up Ohlins on many platforms, we have made our chassis calculation and handling services available to the public. 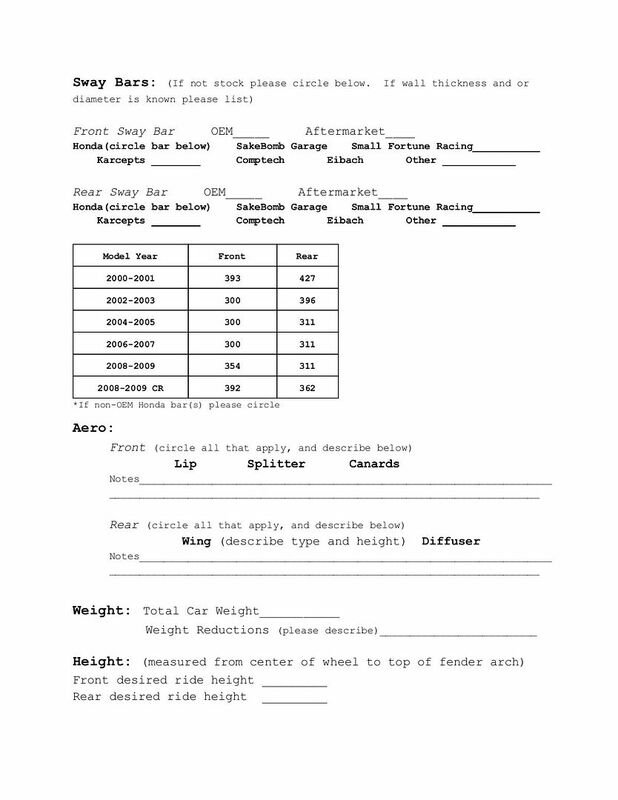 Through digitally modeling the suspension geometry and movement in house on our stock and race chassis for the vehicles we support, we are able to generate highly accurate settings with predictive modeling factoring in: wheel rate, sway bars, height, weight, aero, alignment, etc. to model and generate optimal suspension tuning settings based on your individual cars setup. In response to overwhelming customer demand, we've decided to offer this service to customers who purchase Ohlins suspension kits through us, but are now offering this service to customers who previously have bought kits with other retailers. Our consultation form is available HERE! 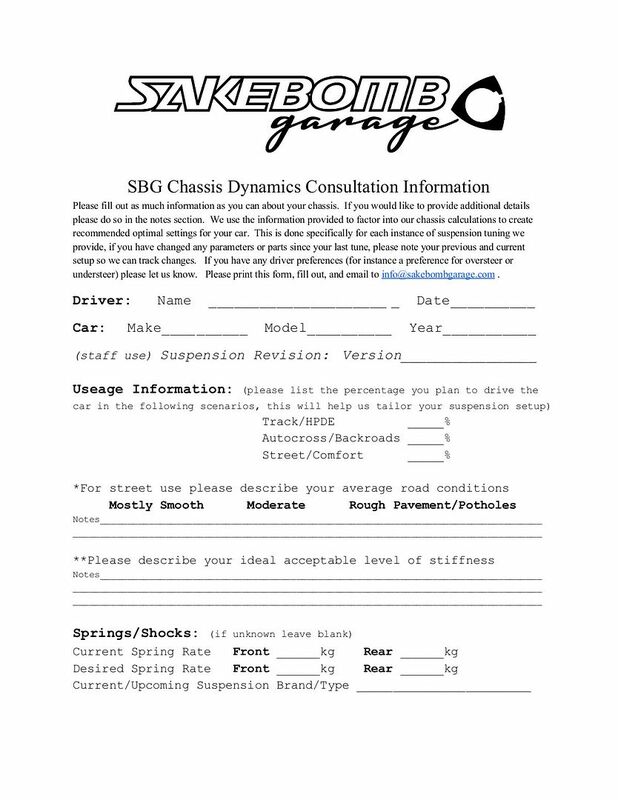 Please checkout in our online store for the consultation service, fill-in and email the completed form with as much information as you have to -> info@sakebombgarage.com Please allow a week to complete your consultation. 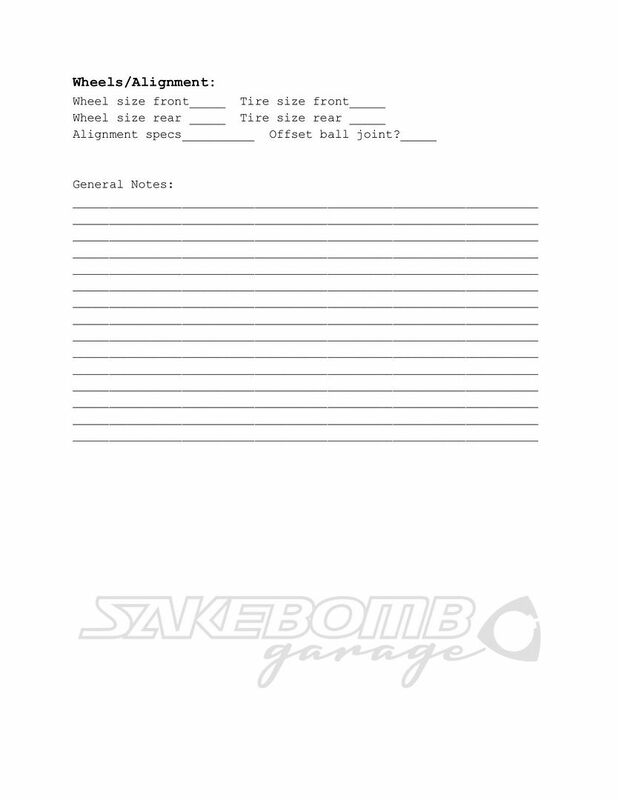 This is done for your car specifically and we may email you back a followup to ask you a few questions regarding your car. Click the button below to add the Ohlins Road & Track DFV Coilovers (S2000) to your wish list.